FamilySearch, the free genealogy website of the Church of Jesus Christ of Latter-day Saints, has millions of digitized records available online that have not yet been indexed. What this means for genealogists and other researchers is that if you are only using the standard search boxes on FamilySearch to find records you are missing out on a very large percentage of what’s available! One of the easiest ways to find records which have been digitized but are not yet indexed (and thus, not searchable), select a location from the “Research by Location” area of the search page. Once you are on the location page, scroll down to the final section labeled “Image Only Historical Records.” These are records which are available digitally for browsing, but are not yet available through the search box. Many of these digitized records may also have digitized, handwritten indexes. Check the beginning and end of each section or book to see if such an index may be available. FamilySearch is digitizing microfilm and making it available online at a rapid rate. As a result, there are thousands of rolls of digitized microfilm available online that have not yet been added to the FamilySearch database. To access these images, browse the FamilySearch Catalog for your location of interest and select a topic to view the individual microfilm rolls. If a roll has not been digitized, then only an image of a microfilm roll will appear. If it HAS been digitized, then you will also see a camera icon. Thousands of rolls of digitized microfilm are currently accessible through the catalog, that have not yet been published in the FamilySearch database. This includes deed books and other land records for many U.S. counties, plus court records, church records, and more! Several of the eastern North Carolina counties that I research in have had their entire run of deed book microfilms digitized! 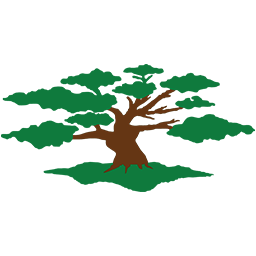 Access Restrictions: It is important to note that the thumbnail gallery in the FamilySearch catalog will respect all record restrictions. Some digitized films, such as these deeds, will be available to anyone at home with a FamilySearch log in. Other films will be available only to LDS members or only if accessed through a Family History Center computer. The camera icon will still appear for all users so you will be aware that the collection has been digitized. If the images are restricted, you will see a message when you try to view them informing you of the image restrictions and options for access. In November 2015, FamilySearch introduced “gallery view” which displays thumbnails of all images in a particular image set. For the microfilms in the catalog which have been digitized, this gallery view is displayed once you click on the camera icon, and will typically include the entire microfilm. The thumbnail gallery view makes it much easier to quickly navigate to specific spots in the image set, such as an index. Once you select a specific image from the thumbnail view, the viewer zooms in on the particular image, with the ability to navigate to the next or previous image. You can return to thumbnail view from any image by clicking the “gallery” icon just below the plus/minus (zoom) buttons in the upper left-hand corner. Kimberly Powell is a professional genealogist, genealogy blogger and proud mother of three children. She is a course coordinator and instructor at the Salt Lake Institute of Genealogy, and an instructor at the Institute of Genealogy and Historical Research at Samford University in Birmingham, Alabama. She is also the proud winner of the Silver Tray for Excellence in Genealogical Publishing, awarded by the Utah Genealogical Society in January 2013 for her work on About.com. Kimberly’s interest in genealogy began about 30 years ago with a school project and has developed into a passion. 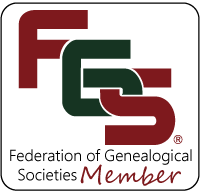 She is President of the Association of Professional Genealogists, and a proud member of the National Genealogical Society, the International Society of Family History Writers and Editors, and several local genealogical societies. She has been writing about genealogy for About.com since 2000, and her work has also appeared in several genealogy magazines, including Who Do You Think You Are? magazine. She is the author of “Everything Family Tree, 2nd Edition” (2006), and the Everything Guide to Online Genealogy, 3rd Edition (2014). She also serves as webmaster for the Western Pennsylvania Genealogical Society.